The former Clarion Hotel at San Francisco International Airport (SFO) experienced a significant renovation and reopened as Aloft San Francisco Airport in September 2012. The hotel occupies a prime site adjacent to the airport and is a half-hour south of downtown San Francisco. The property’s strategic location and proximity to mass-transit options into San Francisco make it an ideal destination. 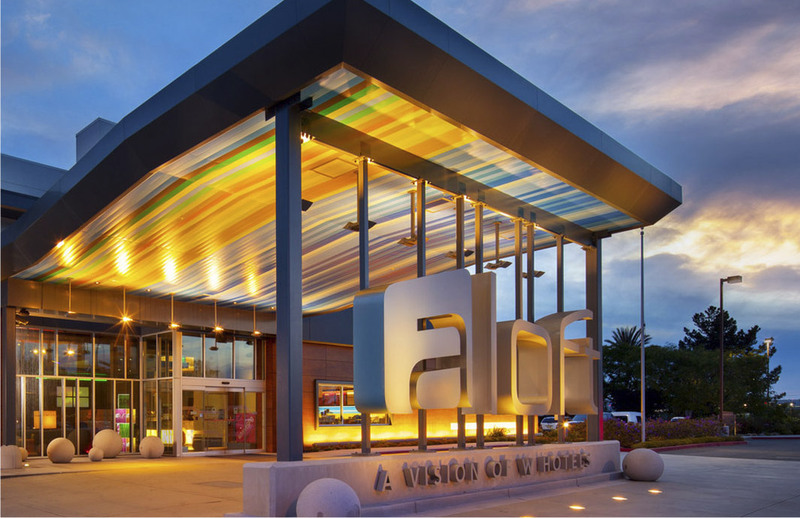 The aloft brand also brings a fresh, modern and hip option to the hotel offerings at the SFO airport. It took 14 months to transform the 50 year old hotel into the aloft brand. The six story hotel received updates to the public spaces, guest rooms, mechanical systems and infrastructure. The renovated property encompasses a 5,102 square foot lobby, an indoor pool, fitness space, meeting space, outdoor patios and 253 guestrooms. TynanGroup served as the Project Manager overseeing the conversion of the entire hotel and the 7.8 acre site.